USA Printed Color Catalog - includes FREE size 8x10 Paper Tole 3D Kit! Home > --Tools & Supplies > Printed Color Catalog - includes FREE size 8x10 Paper Tole 3D Kit! Printed Color Catalog - includes FREE size 8x10 Paper Tole 3D Kit! Printed 104 Page Color Catalog. 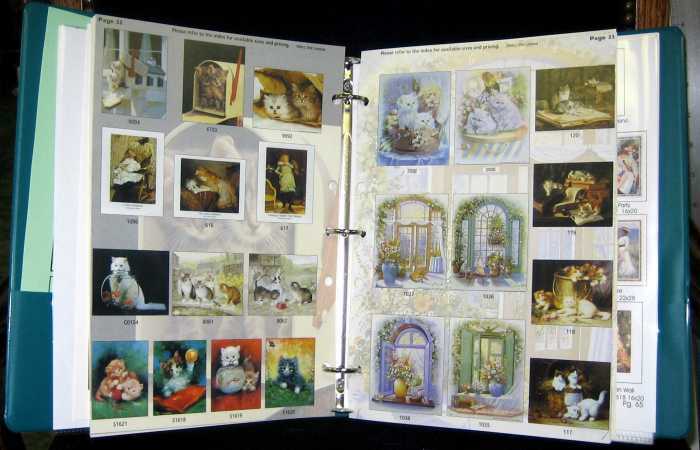 Showing more than 1400 different Selections of Art Prints or Packaged as a 6 Print Paper Tole 3D Decoupage Craft Kit. Each of our Paper Tole 3D Decoupage Craft Kits include 6 identical Prints, Mounting Board and Complete Cutting and Assembly Guide. Also available are samples of the many different Shadow Box Picture frames and Mat Color Selections for an additional shipping cost. 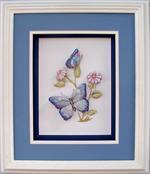 Each complete Shadow Box Frame has been designed such that you only need a Screw Driver to frame your finished 3D Kit! 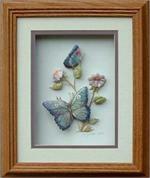 Honey Oak Shadow Box Frame Size 10x12 for 6x8 Complete as shown with 2 Mats, Glass, Backing and Hardware. 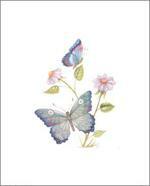 This print is actually a size 8x10 print but there was a lot of white around the butterfly that we choose not to show. White Oak Shadow Box Frame Size 10x12 for 6x8 Complete as shown with 3 Mats, Glass, Backing and Hardware. This print is actually a size 8x10 print but there was a lot of white around the butterfly that we choose not to show.